The marriage of comedian Klint Da Drunk has reportedly crashed after, he was months ago called out by an alleged babymama as a deadbeat dad. His alleged baby mama claimed she was tired of bearing the responsibility of caring for the child alone. “Klint Da Drunk is the father of my child. I can’t hide it anymore, cause I’m tired of caring for this child alone. I want him to play the role of a father to my child, Annora Uchechi Klint Igwemba”. 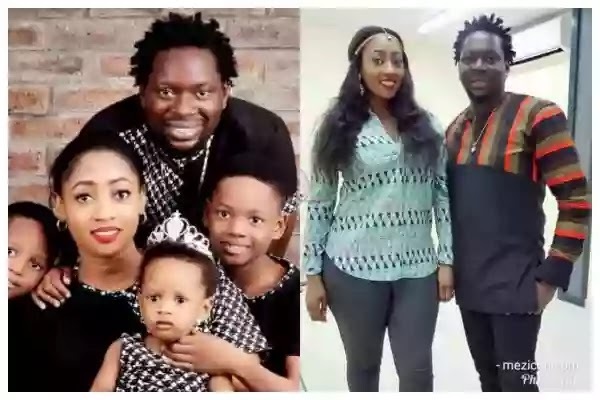 It is not quite clear whether Klint Da Drunk’s 10-year-old marriage ended as a result of the baby mama’s rant, but report has it that his wife Lilien moved out of their matrimonial home in May, 2018, with their three kids.